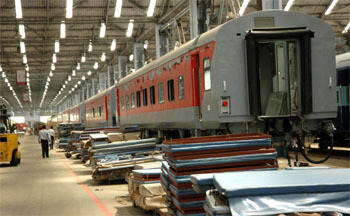 If you want to see how the rail coaches in which you travel across the country are made, you may do so by visiting Rail Coach Factory (RCF) here. The chairman of Ek Onkar Charitable Trust, Baba Balbir Singh Seechewal- doing the herculean task of cleansing Kali Bein- is not satisfied with the state government’s efforts in making steps of stopping flow of sewage water into the holy river. Manoranjan Kalia, the Punjab minister for Local government, Industries and Commerce, disbursed capital subsidy of Rs. 8.25 crore among representatives of as many as 130 industrial units in a function organised at Red Cross Bhawan here on Tuesday. Lecturer in graphic design in the local Apeejay College of Fine Arts Rajesh Kalsi has won the seventh north regional camelart award in mix media for his work, “Identity by Number-3”. 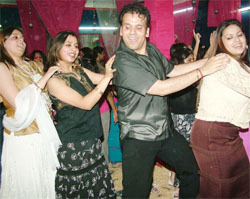 Young and not-so-young women danced to peppy bollywood tunes during a ‘Shakira’s Theme Dance Party’ organised by city based Sparkling Pearls Institute to mark the recent performance of renowned singer and belle dancer Shakira at Mumbai. 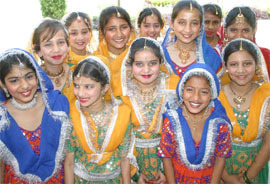 Guru Amar Dass Public School organised an investiture ceremony in which 136 school office-bearers were administered the oath of office and presented badges. Funds will be made available on priority basis for providing basic facilities, including drinking water, quality education and repair of roads in Bholath area falling under Phillaur parliamentary constituency. Dubbing the Bharatiya Janata Party (BJP) a party of business community, the Shiromani Akali Dal (Amritsar) has accused SAD chief Parkash Singh Badal of destroying the future of Punjab by having an alliance with such a party. 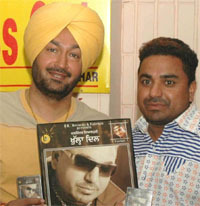 ‘Khulla Dil’, an audio album of Dalwinder Dyalpuri’s album, was released by famed Punjabi folk singer Malkit Singh (UK) here today. Special police officers (SPOs) demand that their services should be regularised as they are still daily wagers despite performing their duties in the police department for the past 15 years. A Major mishap was averted when a Phillaur-bound Army tank-loaded trailer rolled down from national highway and fell on the service road in here this morning.